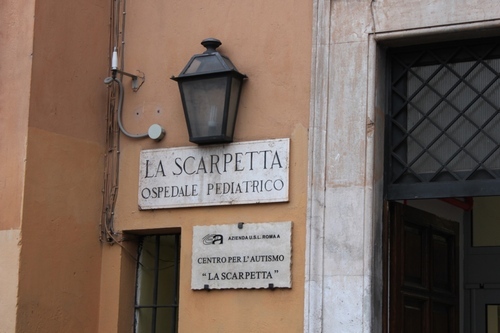 List of Countries » Italy » Rome and its Province » Ospedale Pediatrico "La Scarpetta"
The children's hospital “La Scarpetta” is located in Rome (Piazza Castellani 23, on the corner with via Titta Scarpetta) and is a healthcare facility that depends from the Local Health Service RM/A. Nowadays, the little clinic is all that remains of the children’s hospital that, in the years between 1960s and 1980s, had reached the greatest levels of efficiency and modernity. Even the first health care nucleus, created in 1892, was, for the times, well advanced. 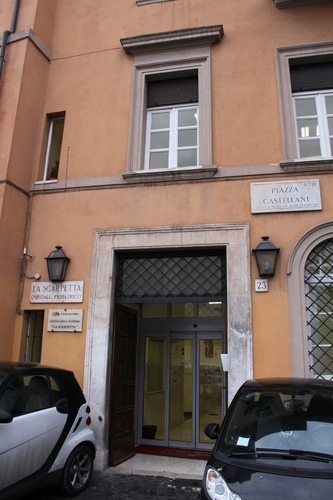 It was founded, on Angelo Celli’s initiative, by the society “Soccorso e Lavoro”, to take care of the poor children who lived in Trastevere, in the Ghetto and in the surrounding area, and to help their families. 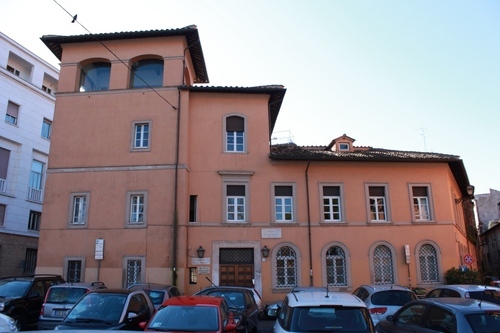 In 1901 a committee composed by Angelo Celli, Anna Fraentzel Celli and a group of other doctors (Luigi Concetti, Raffaele Bastianelli and Paolo Ferraresi) created an Infirmary equipped with beds, medical assistance and stable nursing to allow children (even under the two years of age and with very serious health problems) to stay, as could not have been done in a ordinary clinic. 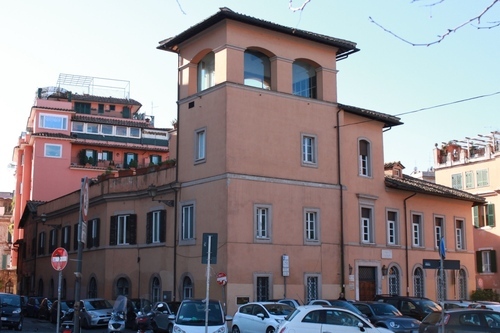 The Infirmary - which was created on the model of the little hospitals annexed to the clinics successfully created in Great Britain - was a precious extension of the academic children’s clinic: at the time, in fact, in Italy there were only a few children’s hospitals, and in Rome "Bambino Gesù Hospital" was not equipped to take care of the newborn babies. Anna Celli was entrusted with the management and administration of the Infirmary. 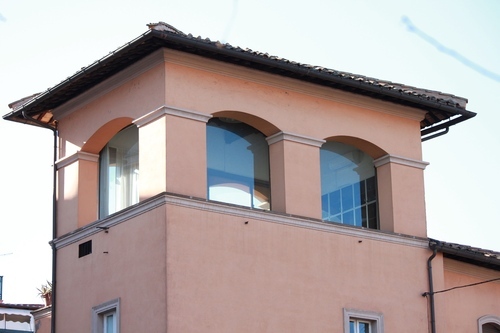 Today, “La Scarpetta” is a clinic for the assistance of autistic children. A small museum of Pediatrics is situated on the top floor of the building. 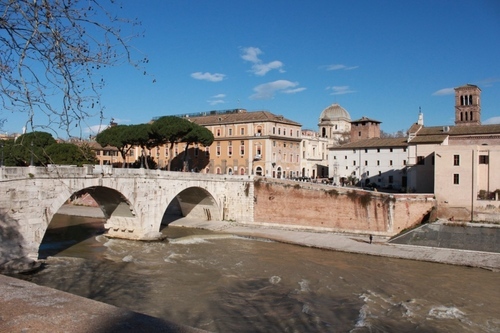 The clinic "La Scarpetta" is located on the riverbank, in front of the very well-known Tiber Island.